Skip the stress of arranging a multi-day, multi-country trip to the magical Uyuni Salt Flats and let the professionals do it for you. 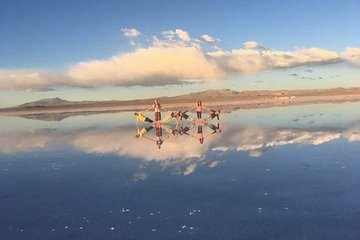 During this comprehensive, small-group excursion—ideal for travelers short on time who still want to experience the salt flats—enjoy glorious views over the Andes as you’re transported via comfortable tourist bus to Uyuni. From there, venture into the salt flats with a professional guide and learn about salt production.